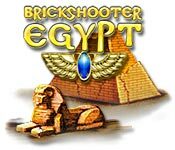 Unlock the secrets of the Pharaohs hidden in ancient hieroglyphs that will help you restore the glorious pyramids. Truly original, innovative and extremely addictive gameplay will keep you on the edge of your seat! Unravel the mysteries of the past! Embark on the most fascinating journey with Cradle Of Egypt game! Explore the lands of the Pharaohs and enjoy the most miraculous constructions in the entire history of human civilization in this extremely delightful macth-3 puzzle game! Dive in to Deep Blue Sea 2 and discover the secrets of Avalonia – a magical, underwater world that needs your help to be fully restored. Along your way, you'll meet a collection of colorful characters and assemble a crew to help you in your quest. Match-3 is reinvented and combined with hidden object challenges in this multi-faceted game with 24 tracks of original music. Relaxing yet challenging, Deep Blue Sea 2 offers unrivalled match-3 responsiveness and promises an engaging storyline, innovative features, beautifully hand-painted graphics, and over 50 hours of thoroughly enjoyable and utterly addictive gameplay! Enter a world of puzzle fun in this vibrant jigsaw game! While away the day with scores of dazzling and challenging puzzles!